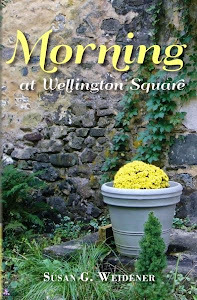 Our About the Author series continues with Patty Kline-Capaldo, memoir writer and novelist. She talks about her story in Slants of Light: Stories and Poems From the Women's Writing Circle. The memoir piece I wrote for the anthology – “Legacy of a Childless Woman” – is one that has been pushing at me for years, begging to be told. 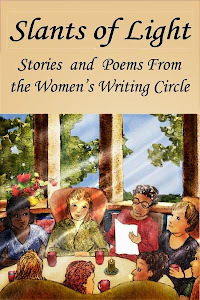 When I read about the Women’s Writing Circle anthology, it seemed like a message – now’s the time. I’d kept so much inside for so long – just locked it away and moved on. Sitting in the Women’s Writing Circle for the first time and hearing other women share their stories – some joyful or funny, some heart wrenching and brave – inspired me to share my own. I sat in a circle with a dozen women I’d never met. Susan lit a candle and declared it a safe place to share our stories. I’d brought just a few paragraphs – the fitful start of the story I wanted to tell. I listened as others read. Beautiful writing; touching stories. As the talking stone passed from one to another, my stomach clenched. Would I read or wouldn’t I? I tried, but I couldn’t choke out the words, so someone read for me. I’ve always believed in the healing power of writing. The catharsis of dumping my feelings onto the page has gotten me through many a crisis. But I’ve learned that weaving those musings into a story and sharing it with others is where the real healing comes. Becoming a mother is what society expects of every woman. It is the natural order of things, which makes me unnatural, abnormal. Being made to feel "less than" - not fully a woman - silenced me in many social situations and made me feel like I had nothing to say. A slight turn of the back to close you out of the circle of conversation; a change of subject to something that doesn't include you. This is how people are marginalized. It's not always done with evil intent. In fact, it's usually quite unintentional. But the result is the same - isolation. Writing this story - my story - brought release; sharing it brought healing. I returned to the Circle certain that now that I’d written my journey down I’d have no trouble reading it. But when the stone passed to me, I started and stopped, started and stopped, barely able to push the words past my throat. The others waited patiently and gave me the time I needed. I got through it. I told my story about being a childless woman. I found my voice. I’m grateful to the women of the Circle for their boundless support. My experience with the anthology project has given me courage to follow through with another dream – helping others fulfill their writing aspirations. I currently host Just Write (http://www.meetup.com/Just-Write-in-Collegeville-PA/, a weekly writer’s group. Patty earned a BA in Journalism and History from Indiana University and teacher certification from Ursinus College. 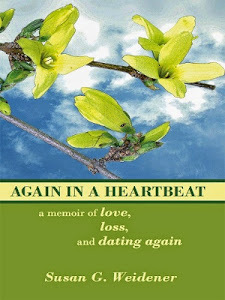 A National Novel Writing Month winner in 2011, Patty enjoys writing short stories, memoir, and the occasional poem. But most of her writing energy is focused on finishing her first novel. Patty resides in Pottstown, PA with her husband, Rich, and their three cats, Sarah, Splash, and Snapple. Powerful story with a perfect epigraph from Hemingway. This kind of silent pain is the very subject for powerful memoir. Writing and sharing your story will open your voice as a fiction writer also. Blessings. 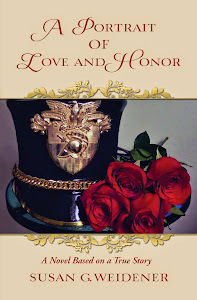 Patty, I admire your courage to put your voice on paper - and share this with our anthology readers. I also appreciate your testimony about how the Women's Writing Circle opened your life to your "legacy" . . . writing. This is the one of the greatest compliments I can personally receive; that something I started with no idea how or if it would serve a need in the community, planted seeds for another group where writers could come and share their stories. Thanks, Susan. Like tossing a pebble into a pond, those steps of faith have ever widening consequences. Thank you for taking yours. What a beautiful testimony to the healing power of writing as well as to the safety of the Women's Writing Circle. It is such a gift to find one's voice. Patty - Thanks for sharing the "story behind the story." By the time our finished piece reaches readers, it's often easy to underestimate the process that led to the finished "product." When it's emotional, it can be a long, painful and halting process! But you certainly make the case for why it's worth the struggle. Thank you all for your kind comments and encouragement. You so deserve every bit of praise that comes your way. Many spend a lifetime talking about what they intend to do. You are a woman who acts. Thanks, Diane. You made my day! Like Jan, I was there when your voice choked; when the words didn't...couldn't...leave your soul. Your courageous story is made more wonderful because of the pain and eventual triumph of just letting go. Bravo! Job well done!